Wow, it was exactly 10 years ago this weekend that I sat in Starbucks with my laptop and first drafted an outline of the Staging Diva Training Program while my 10 year old was busy on a playdate. I was terrified to put myself out there in that way. Yet, I had been hearing from struggling home stagers asking my help for a full 18 months by then. They found my home staging business website and were writing to ask how they could have the business success I’d achieved. Asking how they could get media attention like I had on CNN, Wall Street Journal, HGTV, decorating magazines and newspapers. From these emails, I knew there was a gap in the market. While others were teaching how to rearrange furniture and read a color wheel, no one was offering solid business training. No one was telling these creative people how to actually make a living from their talents. 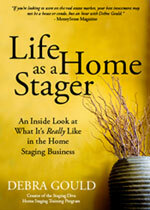 Since I was raising a child on my own, I was always focussed on how to suppport myself from home staging. By December 2004, I knew that I had cracked the code and developed the right business model that could help my fellow home stagers. I’m very proud to celebrate this Staging Diva 10th Anniversary with over 9,000 students in 22 countries. From what students tell me, this program remains unmatched anywhere else for its ability to teach you exactly what you need to know to succeed in your home staging business. When you Google “Staging Diva” you’ll discover that I’ve written more articles about home staging than anyone else in this industry. I don’t share all my business tips of course, my best strategies are reserved for my Inner Circle of Staging Diva students. I’m also proud that I’ve created the only home staging job board in the world which lists over 400 projects. In this month’s articles you’ll learn: 5 reasons why staging beats interior design if you’re looking for what type of business to start; learn how a new stager transformed herself from an executive assistant to having her own business; discover how to find the right personality for your business; find 2 dates you should set aside in December so that you’ll be ready for 2015; and meet 5 home stagers. My mission is to help you create your ideal business and lifestyle. I’m setting a challenge for you as this year winds to a close. 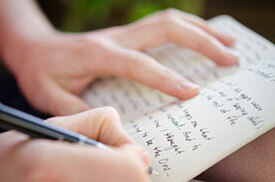 Sit down to journal about how you’d like your business and life to look a year from now. Realize that you’ll never get there unless you change what you’re doing on a consistent basis. You might be scared to get started, but take action anyways. Don’t wait for everything to be “perfect” or for a lottery win to drop in your lap. Instead, resolve to get the information and support you need to create the life you want. That’s what I’m here for and together we can make your dream of success doing work you love come true. Thank you so much for being part of this community and happy holidays!